The Anglo Cards for Magic are constantly being improved. This is a project that will never be finished. 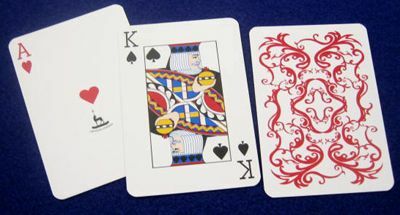 Many of the improvements that has been done to the series over the years have been initiated by the users, the magicians and card enthusiasts. If you have any feedback or suggestions you wish to contribute to this project, feel free to do so. We are very greatful if you do!